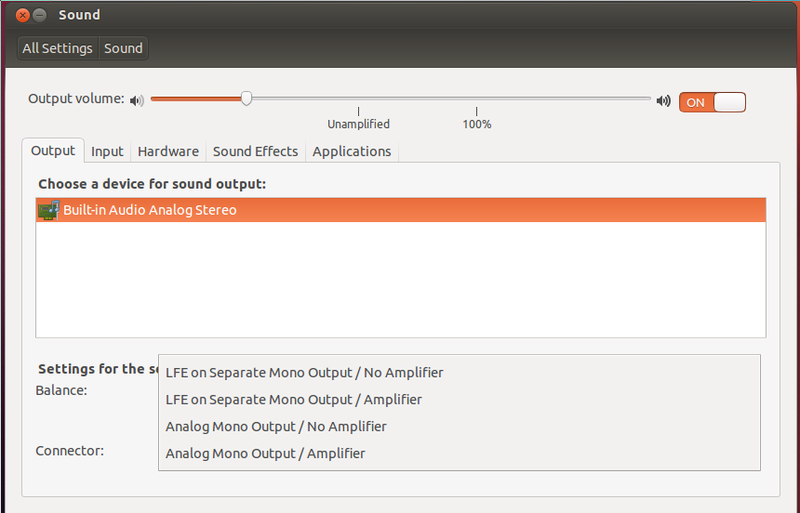 clicking on try ubuntu and booting to a desktop allows me to see the pulse audio settings, the two Analog output devices don't work but the LFE devices work fine. For users depending on Orca booting to a silent desktop is a critical issue. screenshot showing pulse audio output devices, top two work with the test sound dialog, bottom two don't. What release is the host operating system? the host is also Quantal, but upgraded from Precise. Others have reproduced with Precise as the host I think. I am using the Oracle Virtualbox 4.1.18. I will try alpha2 on real hardware. 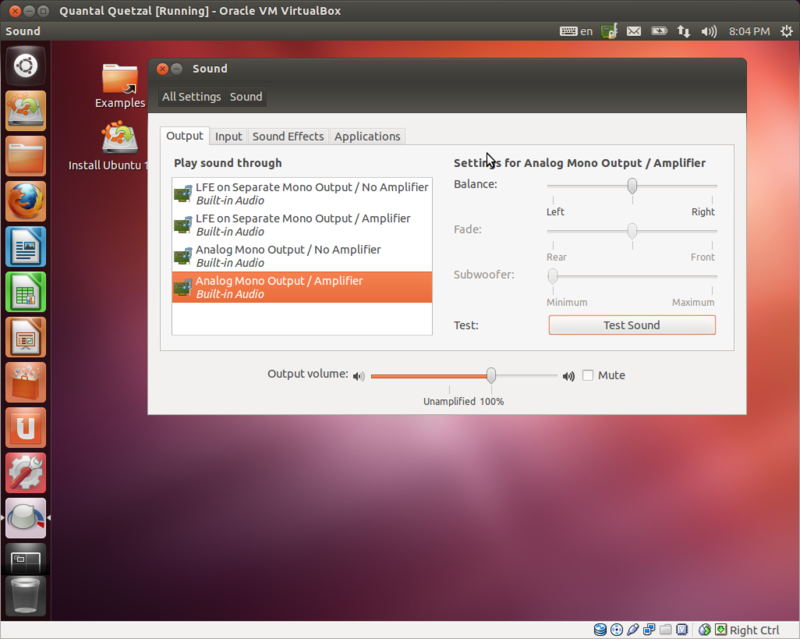 I am running virtualbox on ubuntu 12.04 and I cant hear sound in guest quantal as well. the layout of the pulse audio settings screen has changed a bit now, they are not presenting as separate devices but connectors on the analog output device. Same basic problem though, it boots silent. You also can't get to the indicators using the keyboard to fix it without a mouse so blind users would require sighted assistance. I stumbled across this problem via Google. Fedora 17 host, Fedora 18 guest, and -- you guessed it -- VirtualBox. And the symptoms are the same. I had no audio for the users until I switched those from the default to the LFE. On the bright side for you, it does not seem to a downstream bug. ;) Sadly, so far, it's not clear to me whose bug it is.